Turmeric can lower LDL cholesterol and prevent its oxidation, suppressing plaque build-up in arteries. Turmeric is the Indian spice that gives curry its golden color. If you want to lower LDL naturally, the answer may lie in your spice rack. Turmeric is the Indian spice that gives curry its golden color. While it may not be the first thing that comes to mind for cholesterol health, research indicates it is one of the best natural ways to lower cholesterol. Using turmeric for high cholesterol is beneficial because it contains a compound called curcumin. Curcumin has been proven to lower LDL cholesterol and prevent its oxidation, suppressing plaque build-up in arteries. But that’s far from all it does. The latest studies reveal a broad range of therapeutic effects this spice has on LDL cholesterol (“bad” cholesterol), cardiovascular health, and much more. Specifically, turmeric appears to have the ability to prevent cholesterol production in the liver, block cholesterol absorption in the gut, and reduce LDL cholesterol oxidation in the lining of the arteries. Studies in the early 1990s began to confirm a connection between turmeric and cholesterol and some of the ways turmeric exerts its healing effects on the cardiovascular system, and specifically, on lowering LDL cholesterol. These small, early studies showed that curcumin in turmeric lowers LDL cholesterol in humans. In research published in the Indian Journal of Physiology and Pharmacology, for example, ten healthy volunteers consumed 500 mg of curcumin per day for seven days. Not only did their blood levels of oxidized LDL cholesterol drop by 33 percent, but their total cholesterol dropped 11.63 percent, and their HDL (“good” cholesterol) increased by 29 percent. Some, but not all, recent studies have confirmed the LDL cholesterol-lowering effects of curcumin. [2-5] In one recent study, a curcumin supplement lowered triglycerides but had no effect on other lipids (such as LDL cholesterol). Thirty participants with obesity were treated with 1 gram a day of curcumin or placebo in a randomized, double-blind, placebo-controlled trial. After only 30 days, triglycerides were significantly reduced following curcumin supplementation. 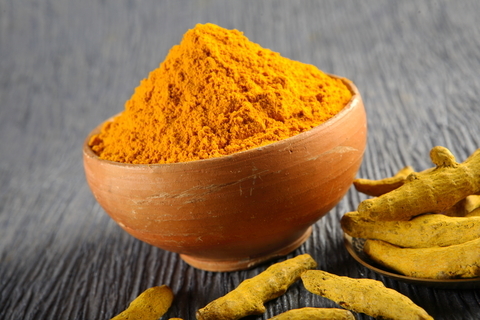 By studying the turmeric benefits and curcumin’s effects in animals, researchers have been better able to understand curcumin and how to lower LDL cholesterol. Curcumin is able to control LDL cholesterol and its dangerous effects on arteries through a number of mechanisms. It prevents the liver from producing cholesterol, increases the amount of LDL cholesterol that the liver clears from the body, and prevents the intestines from absorbing it. Studies have also found that curcumin lowers inflammation and reduces oxidative damage. Since these two processes, damage blood vessels and cause plaque build-up that can lead to heart attack or stroke, preventing them helps to reduce the progression of atherosclerosis (hardening of the arteries due to cholesterol and plaque build-up). This is exactly what was demonstrated recently in a study published in Molecular Nutrition and Food Research. In mice with high LDL cholesterol, curcumin was not only shown to lower LDL cholesterol, it also lowered triglycerides and C-reactive protein (CRP), a marker of systemic inflammation. Furthermore, curcumin prevented the beginning stages of atherosclerosis in mice aortas and inhibited processes involved in cholesterol synthesis in their livers. Obviously turmeric benefits in cardiovascular health are wide ranging. Anyone with high LDL cholesterol, coronary artery disease, or other cardiovascular disease is a prime candidate for supplementing with curcumin to lower LDL cholesterol naturally and prevent its dangerous effects on the cardiovascular system. Adding more turmeric to your diet is also a great way to experience the amazingly diverse benefits of this colorful spice. Add extra turmeric to curries. Flavor lentil soups with turmeric and cumin. Spice up sautéed onions and/or cauliflower. Make a creamy vegetable dip by mixing turmeric with plain yogurt, a little omega-3-rich mayonnaise, and salt and pepper. Turmeric benefits don’t stop with the cardiovascular system. If you suffer from any kind of inflammatory based condition—arthritis, cognitive and memory issues, chronic fatigue, or leaky gut inflammation, consider that turmeric benefits the body’s inflammation process as effectively as any natural healing agent available. Feel a sore throat coming on? Try turmeric tea, a home remedy you’ll find in this Countryside Network article. It’s also important to remember that to get the full turmeric benefits when taking a turmeric supplement, your supplement needs to be administered in some specific ways to increase bioavailability since turmeric is not well absorbed in the gastrointestinal tract. The turmeric benefits are undeniable, and this supplement or added spice in your diet should be considered a main stay strategy for anyone looking to improve their health in a natural, drug-free way. Do you have any experience on how to reduce triglycerides or how to lower ldl cholesterol? Share in the comments section below. Soni KB, Kuttan R. Effect of oral curcumin administration on serum peroxides and cholesterol levels in human volunteers. Indian J Physiol Pharmacol. 1992 Oct;36(4):273-5. 1992. Mohammadi A, Sahebkar A, et al. Effects of Supplementation with Curcuminoids on Dyslipidemia in Obese Patients: A Randomized Crossover Trial. Phytother Res. 2012 May 21. doi: 10.1002/ptr.4715. Pungcharoenkul K, Thongnopnua P. Effect of different curcuminoid supplement dosages on total in vivo antioxidant capacity and cholesterol levels of healthy human subjects. Phytother Res. 2011 Nov;25(11):1721-6. Baum L, Cheung SK, et al. Curcumin effects on blood lipid profile in a 6-month human study. Pharmacol Res. 2007 Dec;56(6):509-14. Feng D, Ohlsson L, Duan RD. Curcumin inhibits cholesterol uptake in Caco-2 cells by down-regulation of NPC1L1 expression. Lipids Health Dis. 2010 Apr 19;9:40. Shin SK, Ha TY, McGregor RA, Choi MS. Long-term curcumin administration protects against atherosclerosis via hepatic regulation of lipoprotein cholesterol metabolism. Mol Nutr Food Res. 2011 Dec;55(12):1829-40. Originally posted in 2012, this post is regularly updated. add, antioxidant, artery disease, arthritis, atherosclerosis, bad cholesterol, c reactive protein, cardiovascular, cardiovascular disease, cardiovascular health, cardiovascular system, cauliflower, cholesterol, cholesterol levels, cholesterol lowering, cholesterol oxidation, chronic fatigue, coronary, coronary artery disease, cumin, curcumin, diet, ed, food, gastrointestinal, good cholesterol, hardening of the arteries, hdl, hdl cholesterol, health, heart attack, high cholesterol, high ldl, high ldl cholesterol, home remedy, how to lower ldl, how to lower ldl cholesterol, how to lower ldl levels, how to lower ldl levels naturally, how to reduce triglycerides, inflammation, ldl, ldl cholesterol, ldl cholesterol lowering, ldl levels, leaky gut, lipid profile, lipoprotein, lower cholesterol, lower ldl, lower ldl cholesterol, lower ldl cholesterol naturally, lower ldl naturally, lowering ldl, lowering ldl cholesterol, memory, memory issues, metabolism, molecular nutrition, natural healing, natural ways to lower cholesterol, nutrition, obesity, omega 3, oxidative damage, oxidized, oxidized ldl cholesterol, protein, ra, reduce ldl, reduce ldl cholesterol, reduce triglycerides, sore throat, stroke, supplement, to lower cholesterol, to lower ldl cholesterol, total cholesterol, triglyceride, triglyceride 2, Triglycerides, turmeric, turmeric and cholesterol, turmeric benefits, turmeric for high cholesterol, turmeric supplement benefits, ways to lower cholesterol, yogurt. I always figure that if some plant extract (like curcumin) is good for our health, then eating the whole plant (like turmeric root) is usually even better because of the synergistic interaction of all of the phytonutrients it contains, even if those other substances have not yet been scientifically identified and studied. Whole turmeric root is fine eaten either raw or as a powdered spice. But my own favorite way of eating a substantial amount of it on a daily basis is to slice up about a tablespoon of it and lightly steam it mixed in with some kind of green leafy veggies. It has been well established that because the curcumin component of turmeric is fat soluble, it is better absorbed if consumed at the same time as some kind of healthy fat. I personally like to add both some butter from grass fed cows and some extra-virgin olive oil to my steamed veggies. It has also been scientifically demonstrated that curcumin is better utilized by our bodies if it is accompanied by a bit of a substance called piperine, which is a component of black pepper; so I always add a touch of Himalayan salt and plenty of freshly ground black pepper to my daily serving of green leafies and turmeric. I am 80 and trying to get my bad cholesterol down. Also blood pressure and arthiritis. told my doctor stopped taking Provastatin…. would you believe he told me to take my pills. Female – Age 58. I take Apex Energenics Turmero XL (a liposomal form of Turmeric – from my chiropractor). I used to have high cholesterol and high inflammation markers shown in my blood labs. I cut out grains from my diet due to sensitivity. Eat more nuts now. 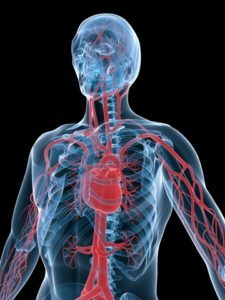 Recently had blood labs done – as well as a CT heart screening scan for clogged arteries. Inflammation is now on low side of normal range, and my cholesterol is normal. More shocking, is that I have ZERO buildup in my arteries. I don’t usually comment or do reviews, but I hope this information helps someone else. I am astonished of what I hv read so far! I suffer of serious stress + vestibular problems. I hv had a stroke 3years ago + I am left with suffering with headaches, dissiness,vission disturbances + lots more. Ur report on chronic fatigue syndrome is extremely helpful 2me. My partner is proving 2b oblivious 2my health problems + v provoking 2me. I like 2know how I can learn 2 response 2 provocations frm someone who is slow off the mark without making myself more ill or hv a heart attack. My symptoms may b a mixture of the side effects of the medications , the aftermath of the stroke + the stress. It’s all overwhelming. Ur report gives v good guidance. Thank you for this. If u can come back to me with some wise suggestion about how I can cope with my partner’s provocations will b great!!! Yours faithfully, Eugenie.